The day is favorable for people working in the field of art and culture. Try today to show your creative abilities as brightly as possible. 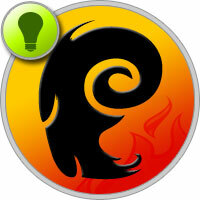 Horoscope career for Aries recalls that the key to your success — diligence and hard work. Therefore, do not be distracted by extraneous thoughts, even minor mistakes and mistakes can significantly reduce the productivity of your work. Mercury in Aries gives decisiveness and quick thinking. You are full of plans and ideas, but you should not aggressively impose your opinion on others.